Renee's Gourmet, established in December 2004, is a quaint little shop in the heart of Old Town Warrenton, Virginia. Every day, we feature two soups in addition to a wide selection of sandwiches, salads, wraps, quiches, and sweets. The soups are homemade and range from the exotic to the traditional. You will find everything from old fashion Chicken Noodle to Thai Pork Green Curry, and every Friday we serve our Famous She-Crab soup. Customers are always surprised by the selection and leave with a satisfied smile on their faces. Most of our selection is self service which makes getting a gourmet lunch fast and easy. 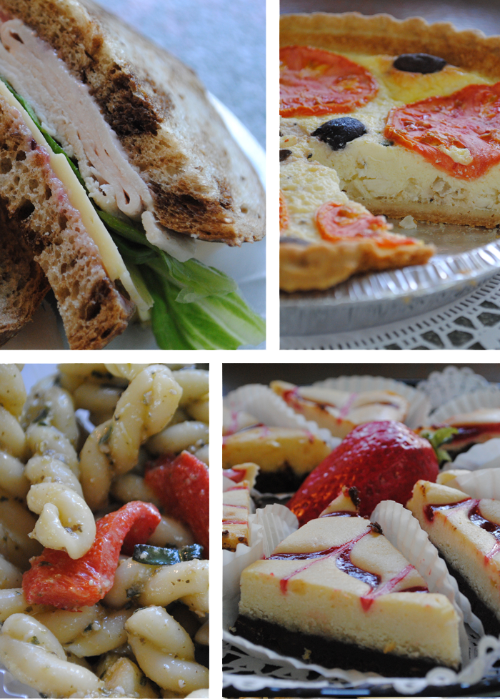 We also offer catering or boxed lunches for casual gatherings and picnics. So next time you find yourself in downtown Warrenton, take a break for lunch, come sit on the patio, and enjoy a delicious lunch that's a break from fast food fare. Open M-F from 11am to 3pm. As Willard Scott says, "Renee's! My favorite place to have lunch!"